I am so honored that today I get to be part of Kylie Bertucci's International Highlights Top 10 Winners Blog Hop! 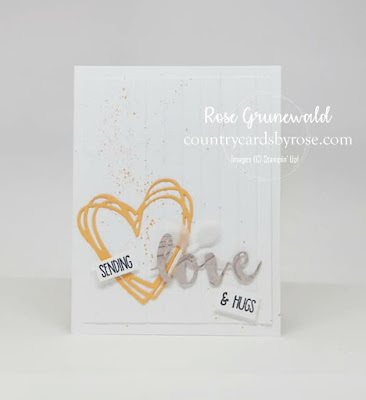 I took part in Kylie's International Project Highlights Project for March, and I was voted a winner by stampers all over the world. 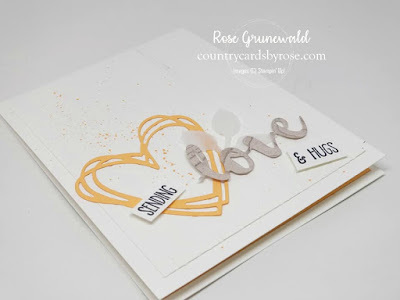 The theme for the project was "Love" - take a look at my take on the theme HERE. 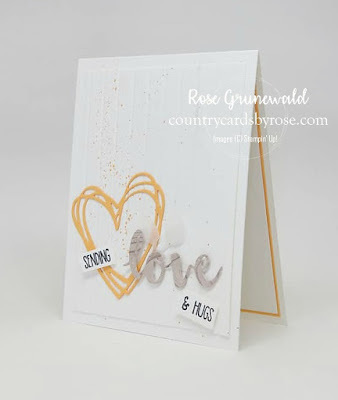 For our blog hop today, we are continuing the theme of "Love", and I think you're going to LOVE what I created! 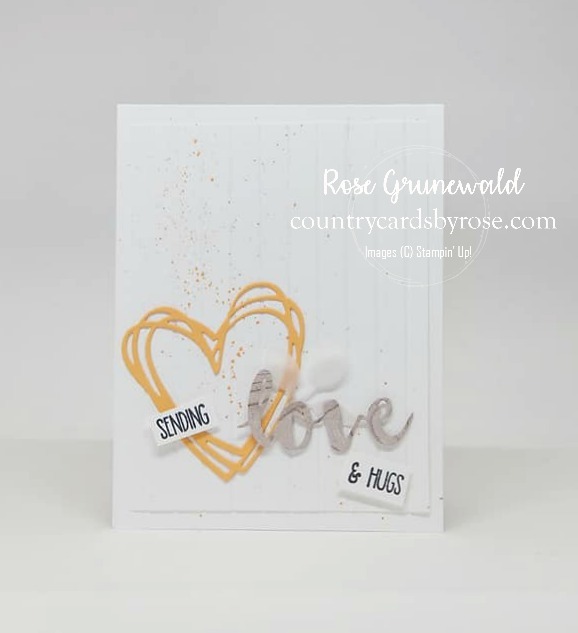 I made this card for a friend who is going through a tough time right now. 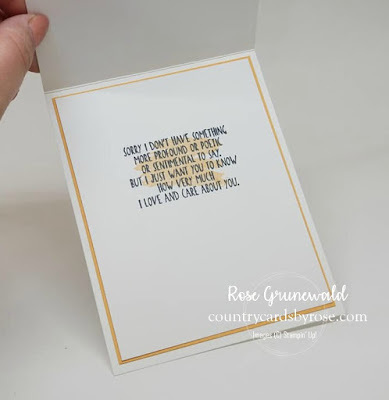 Here is how I stamped the inside of the card - I just love that sentiment. 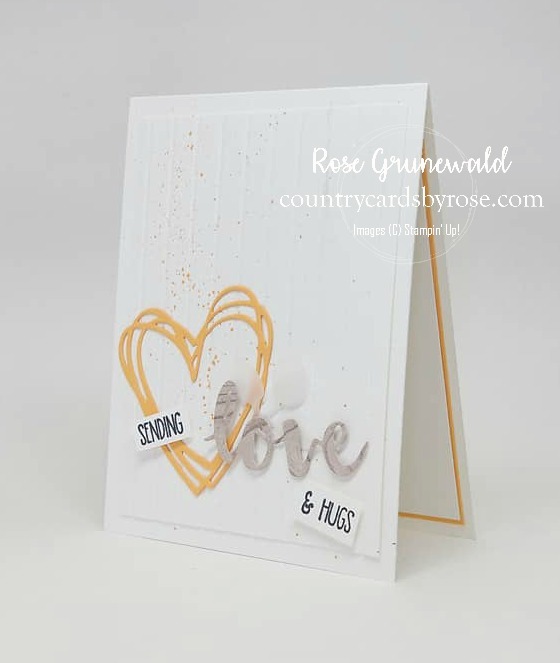 I wanted a clean and simple card, so I went with a white-on-white palette with a soft pop of color and some natural elements that I brought in with the Wood Textures Designer Series Paper and Velum leaf punch. 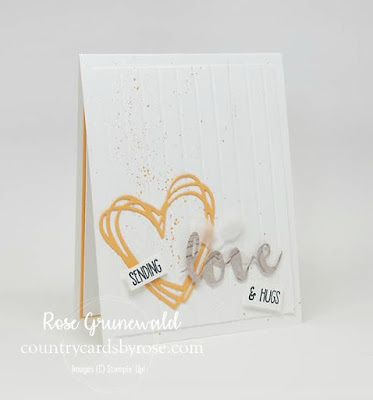 I've also got a VIDEO tutorial for this card. You can see how I made it step-by-step by clicking the video below. While you're there, make sure you SUBSCRIBE to my YouTube channel so that you don't miss out on any of my tutorials! Whisper White Thick card base: 4 1/4" x 11"
Whisper White Thick card front: 5" x 3 3/4"
Peekaboo Peach inside layer: 5 1/4" x 4"
Whisper White inside layer: 5 1/8"x 3 7/8"
Now make sure to go check out the projects from the rest of the Top 10 winners! Also - when you order from me, you are invited to my PRIVATE Facebook group for my VIPs. We have a lot of fun there :). You can click below to go directly to my online store.